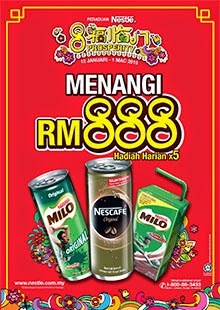 Purchase any UHT pack drink, MILO or NESCAFE tin / bottle as proof of purchase. Answer all 3 questions in the contest form. Visit Nestlé 8 Prosperity contest form for more details.